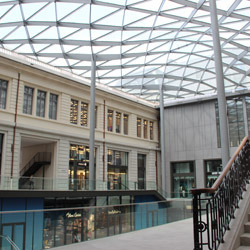 The Grand Hôtel-Dieu, one of Lyon’s oldest hospitals, reopened to the general public in the spring of 2018 to reveal its spaces following large-scale renovation works that lasted four years. 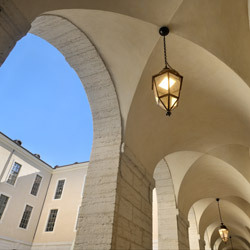 From its foundation to its restoration, explore the building’s five inner courtyards, which reveal its architectural evolution from the seventeenth to the twenty-first century, as well as its successive uses and future plans. 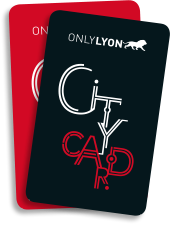 Now dedicated to leisure and open to the city, this historical monument has marked generations of Lyon’s residents. 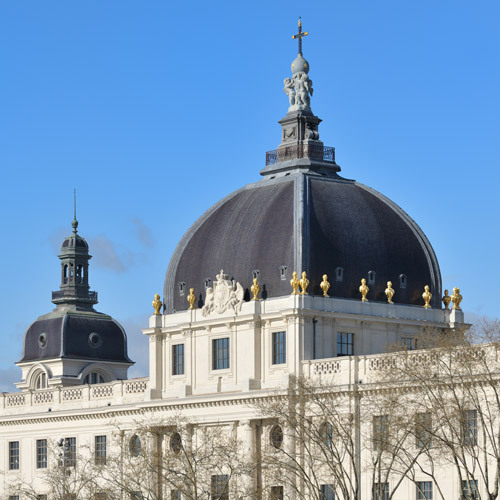 Its imposing façade on the banks of the Rhône was originally designed to impress visitors arriving from the left bank. 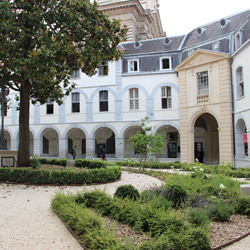 Relive the development of medicine through amazing anecdotes and the careers of great men who contributed to the life of this iconic part of Lyon’s identity. NB: This visit doesn't include access to the Chapel or the Grand Dôme. François Rabelais, novelist and doctor, stayed in Lyon between 1532 and 1535 and practiced at the Hôtel-Dieu. Here, he published several medical works of reference as well as the novels Pantagruel and Gargantua, using a pen name.